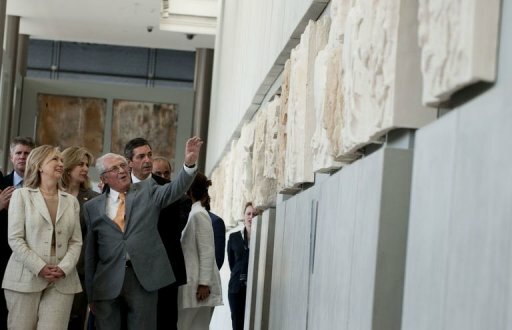 The United States has signed a bilateral agreement with Greece to impose import restrictions on certain archaeological and Byzantine objects dating from before the 15th Century. The agreement flows from the United States’ implementation of articles 7(b) and 9 of the 1970 UNESCO Convention. One might be under a misimpression by reading some accounts of this signing by amateur international lawyers. To be clear, the United States has taken a unique view on the 1970 UNESCO Convention, but we should remember that the United States was the first ‘market nation’ to sign on to the convention, and no reasonable appraisal of the U.S. actions with respect to the UNESCO Convention would deem them unserious. In fact, one might deem them more rigorous than other nations who have signed the convention but taken little or no concrete action. Though the financial burden of making a case before the Cultural Property Advisory Committee can be high, the process is straightforward, and allows for U.S. Customs agents to have clear classes of objects which they are looking out for.Those who argue that U.S. implementation does not reflect a commitment to fight the illicit trade in antiquities (an intellectually lazy assertion, particularly when it has little supporting evidence or argument) might be well-served by actually reading the text of both article 7 and 9 of the convention, and even seeking out Patrick O’Keefe’s very fine commentary on the convention itself. Art.’s 7(b) & 9 taken together are the key provisions which the United States has enacted via the Cultural Property Implementation Act, and the Cultural Property Advisory Committee makes determinations on the imposition of import restrictions and creates a relatively streamlined process for creating bilateral agreements. Without the CPIA, treaties and bilateral agreements would be far more difficult to create because these agreements would have to go through the U.S. Senate for ratification. Art. 7 (a) prevents national museums from acquiring cultural property originating in another State Party which has been illegally exported. If we think about this in terms of the US, what does consistent with national legislation mean? Which museums are ‘instrumentalities’ of the US government? Just the Smithsonian? There is after all no ‘American Museum’ along the lines of the British Museum or the Louvre. As a consequence, the U.S. has not implemented this article. Art. 7 (b)(i)requires States to prohibit the import of cultural property stolen from a museum, religious or secular public monument or similar institution. Note that it requires an inventory. Very few museums have created such an inventory. Art. 7(b)(ii) actually requires that a nation “pay just compensation to an innocent purchaser”, or one who has valid title if the object is returned. Art. 9 is the crisis provision of the Convention. When you look to the text, terms like cultural patrimony, jeopardy and pillage are undefined. The protection of this Article extends only to “Archaeological and ethnographical materials”. It requires nations to erect import restrictions on certain classes of objects if they are in danger. [P]illage and jeopardy of a cultural heritage occur where the remains of a particular civilization are threatened with destruction or extensive movement abroad or when the sale of certain archaeological objects on the international market sets off a broad campaign of clandestine excavations leading to the destruction of important archaeological sites. …[I]t should not be considered open to a State Party to refuse to act on the ground that, in its opinion, the pillage complained of was not in fact putting the cultural heritage of the requesting State in danger. …Article  was against illicit traffic in cultural objects, and …the requesting State should not, therefore, be required to produce evidence as to the degree of damage or size of the illicit trade in these objects. Art. 9 has two prerequisites: the cultural patrimony must be in jeopardy from pillage of archaeological or ethnological materials and there must be a “concerted international effort”. So first you need to determine whether the looted objects at issue are part of the cultural patrimony of an aggrieved nation. It can be tempting for some to lose sight of many of the other sections of the UNESCO Convention. The convention imposes obligations on both market nations and those rich with cultural resources. These obligations represent the other side of the market and obligates nations of origin to protect their own sites and museums, to police their borders and to educate their people about the value of conserving cultural heritage. These obligations include establishing a government agency that will assist in the preparation of laws for the regulation of cultural objects, establish a national inventory of protected property, promote scientific and technical institutions and supervise archaeological excavations; establishing a licensing system for the export of cultural objects and requiring dealers to maintain registers with information on the origin, supplier, description and price of items sold.